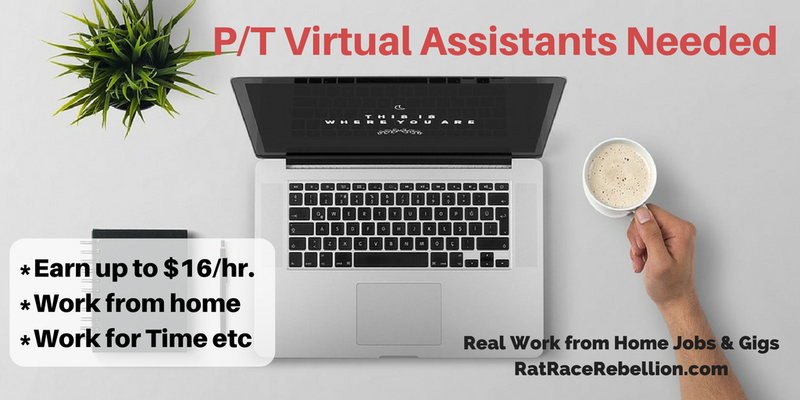 Time etc is looking for people to be part-time General Virtual Assistants, Marketing and Social Media Assistants, Writing Assistants, and Customer Service or Telesales Assistants. Work from anywhere in the US. Sir Richard Branson’s former personal assistant, Penni Pike, created Time etc in 2007 and heads their VA team. Reviews on Glassdoor give it a range of 4.3 to 4.9 stars out of 5 (two sets of reviews). Like most Virtual Assistant companies, Time etc hires Assistants as independent contractors, aka freelancers, rather than employees. For more detail on the jobs, click here. (But please don’t call the company — If you have a question, just click here.) For more jobs like these, check our Newest Jobs & Gigs page. May you be working from home soon! This entry was posted in Administrative & Clerical Jobs, Virtual Assistant, Work at Home Jobs and tagged Time etc. Bookmark the permalink.